A transitional colorway for the fall. 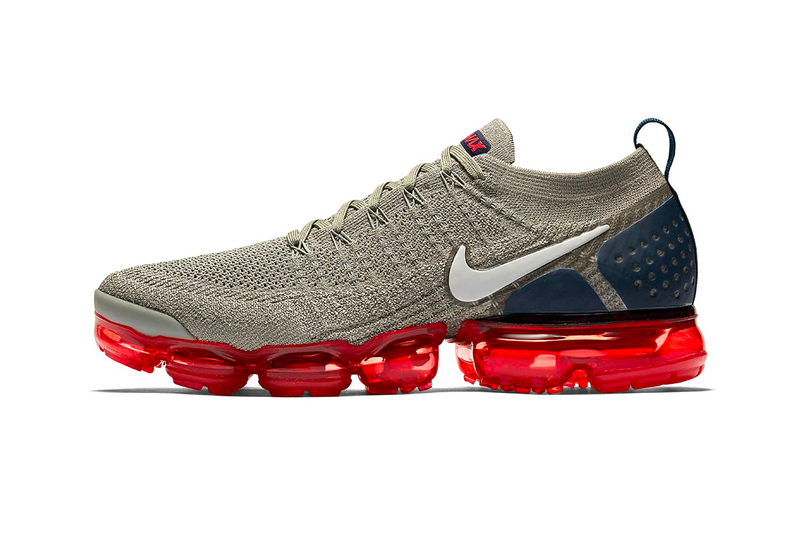 Continuing with its multitude of new colorways for the Air VaporMax Flyknit 2.0, Nike is now gearing up for a more transitional colorway of the model. As the summer season ends and fall begins, the latest updated “Dark Stucco” iteration sees a mostly “stucco”-colored Flyknit upper accented with a dark obsidian perforated heel counter and light grey Swoosh. Finally the most eye-popping part of this silhouette sees a vibrant habanero red VaporMax unit to finish off the overall look of the shoe. The Nike Air VaporMax Flyknit 2.0 “Dark Stucco” is available now at select Nike UK retailers and online for $190 USD. In other footwear-related news, Nike’s Air Max 97 Ultra ’17 channels military “Flight Jacket” colors. No major injuries but its another “battery burn” incident this year at an Apple store.